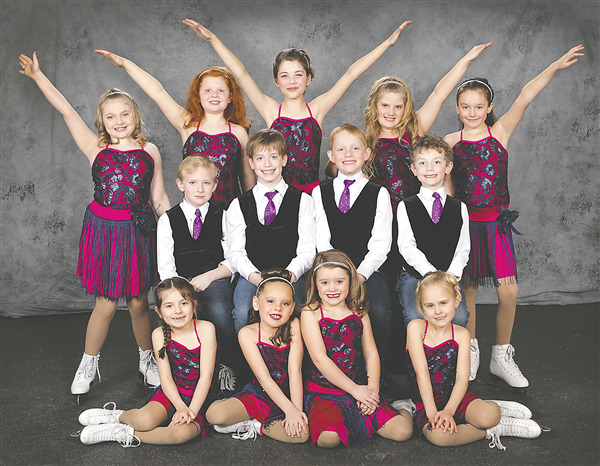 The Eagle River Figure Skating Club will host the 62nd annual Silver Blades Ice Show at the Eagle River Sports Arena this Saturday and Sunday, April 13 and 14. Both shows will be at 1 p.m. Spectators are reminded to note the time change from previous years, according to show coordinator Amanda Mattke. This year’s show theme is “Viva Ice Vegas.” More than 60 youth skaters from ages 4 to 18 will skate to musical arrangements by artists who have performed in Las Vegas. The figure skating club announced the show’s guest skater will be Lainie Kuckkahn from the Lakeland Figure Skating Club in Minocqua. She started her skating career at 5 years of age and will graduate high school this year. Kuckkahn has trained with private coaches in Wisconsin Rapids, Milwaukee, Houghton, Mich., and the Twin Cities. This year, Kuckkahn became a triple gold medalist with the U.S. Figure Skating Association and competed in the Senior Championship at Upper Great Lakes Regionals. She will attend Trine University in Angola, Ind., in the fall where she will study chemical engineering and continue to skate. Tickets will be available at the door for each show. The cost is $6 for adults (age 18 and up); $3 for students (age 6 to 17), seniors (65 and over) and veterans; and free for children age 5 and under. For more information on this year’s Silver Blades Ice Show or the Eagle River Figure Skating Club, contact Mattke at (715) 617-4519.